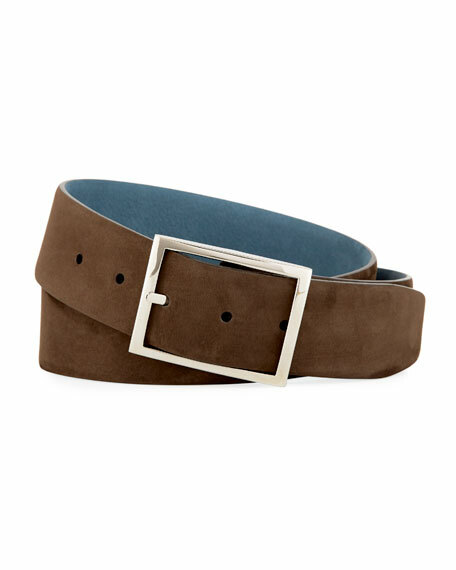 Loro Piana "Alsavel" belt in suede. Palladium-finished brass buckle. Smooth calfskin lining. Approx. 1.3"W. Adjustable fit. Made in Italy. 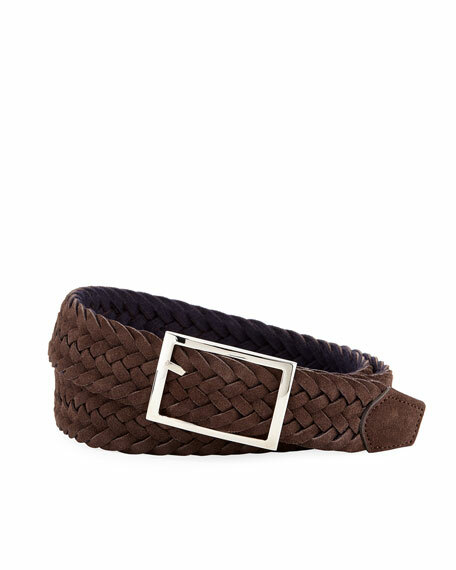 Simonnot-Godard braided belt. Reverses from suede to felt. Polished rectangular buckle. Approx. 1.5"W. Adjustable fit. Handmade in Italy. 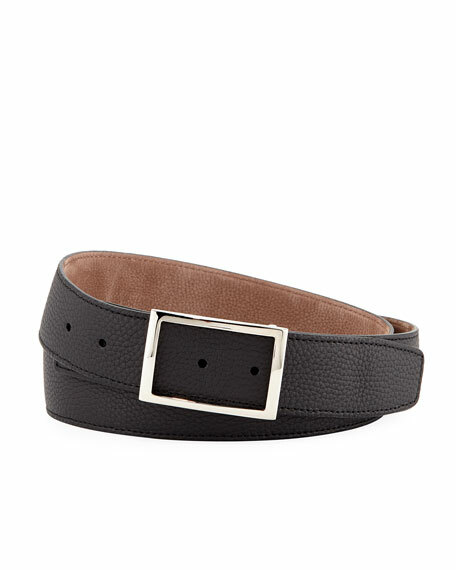 Simonnot-Godard suede belt. Reverses from light brown to royal blue. Highly polished silver buckle. Approx. 1 1/2"W. Made in Italy.